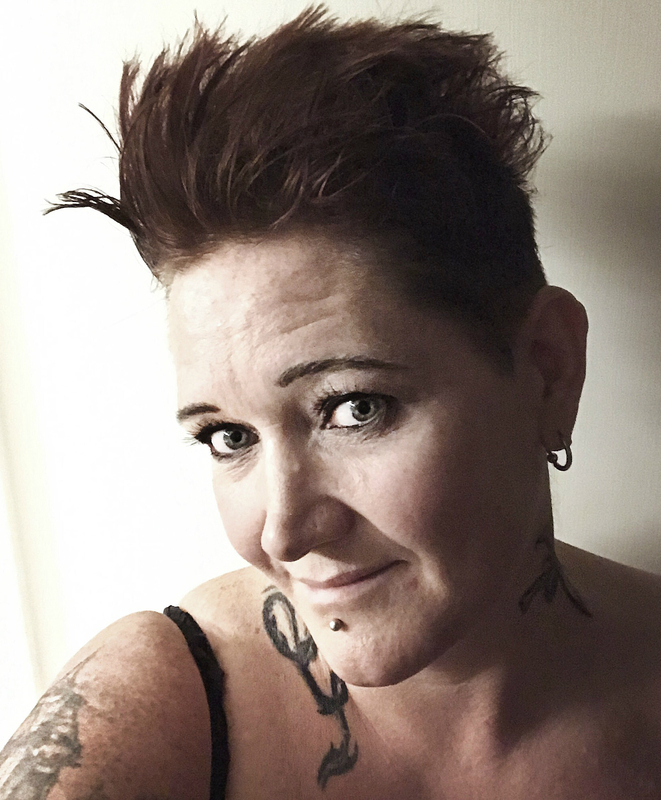 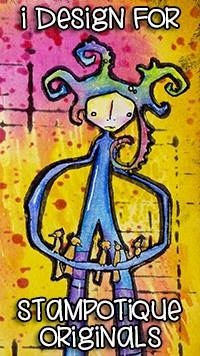 Regan Kubecek who drawn her. 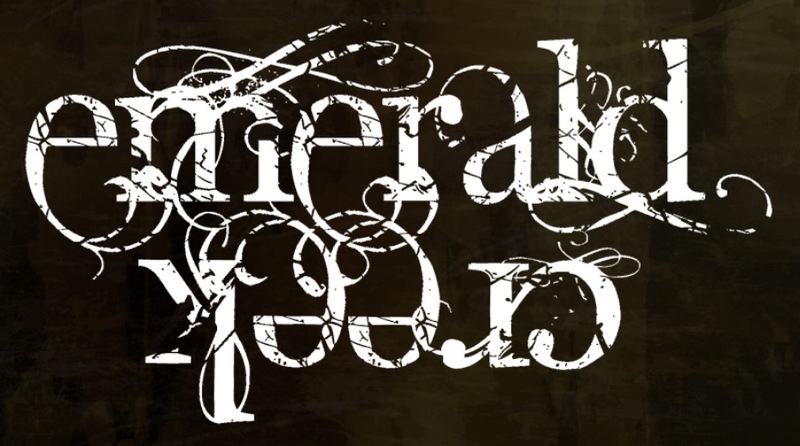 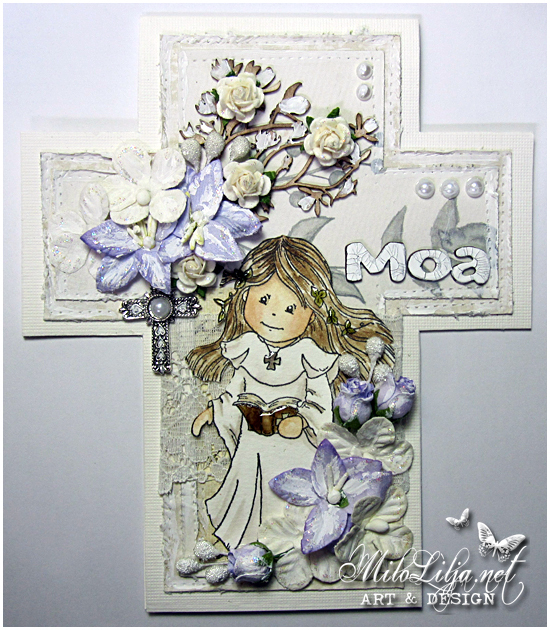 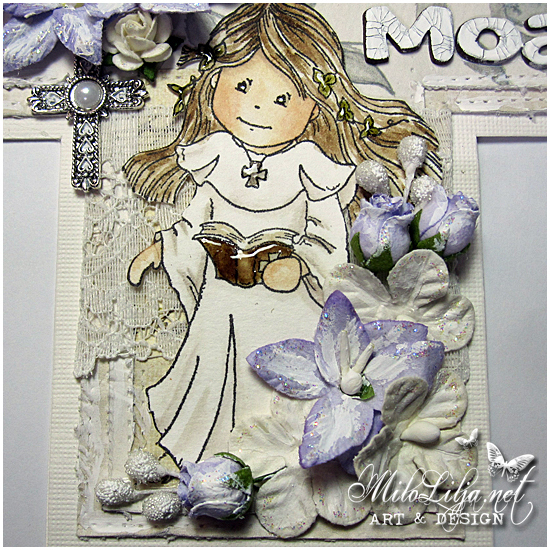 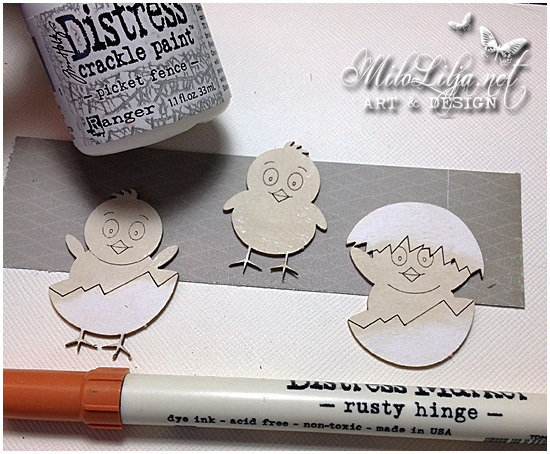 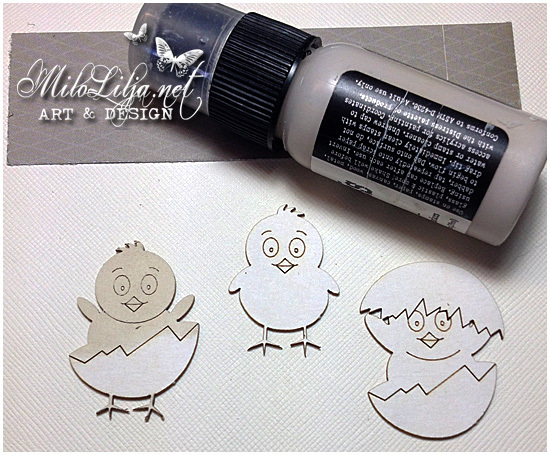 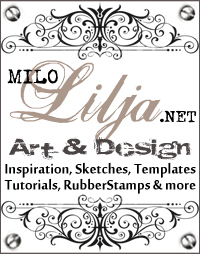 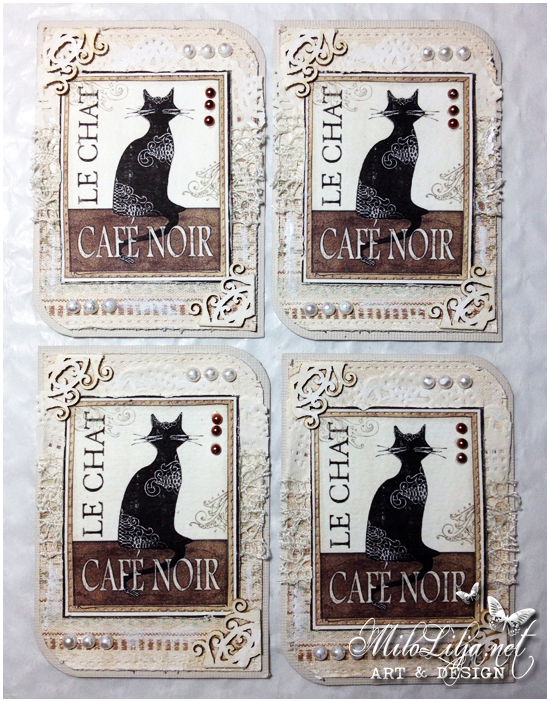 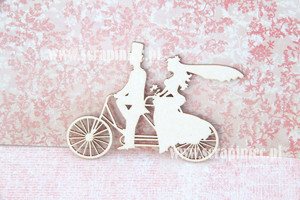 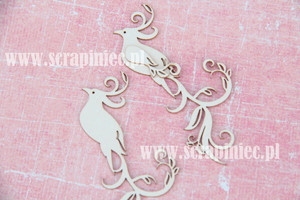 You can find her both as digistamp and rubberstamp. 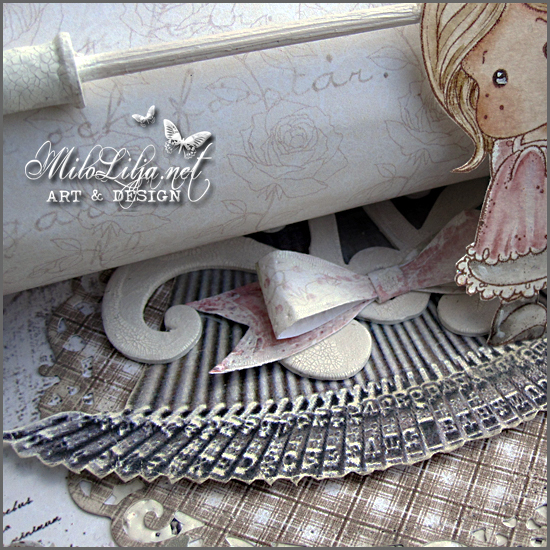 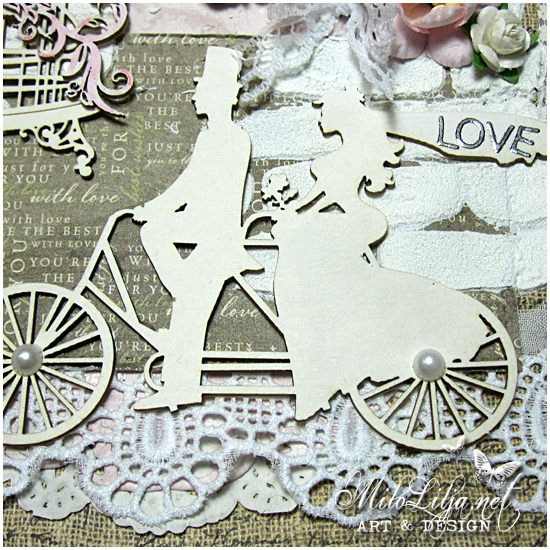 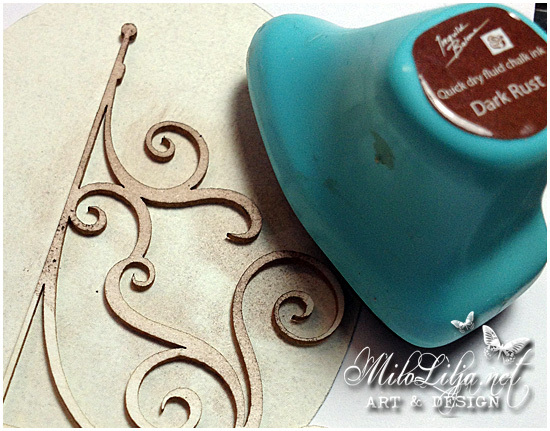 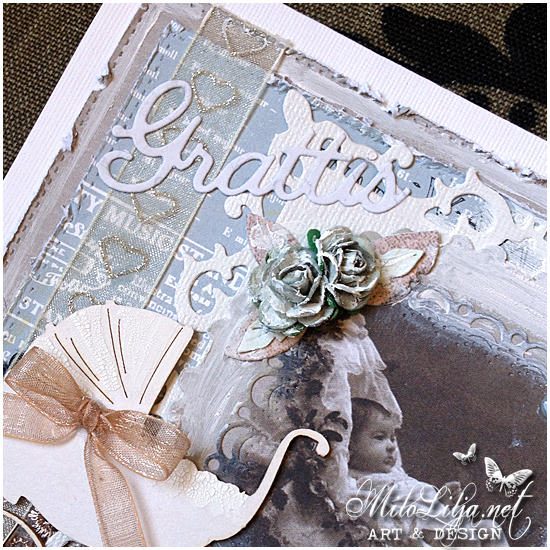 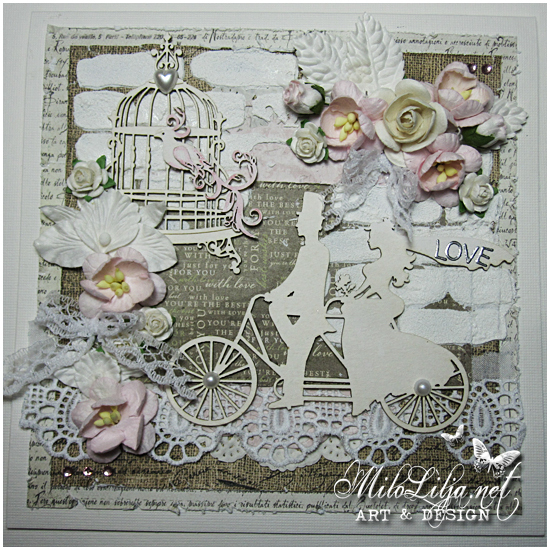 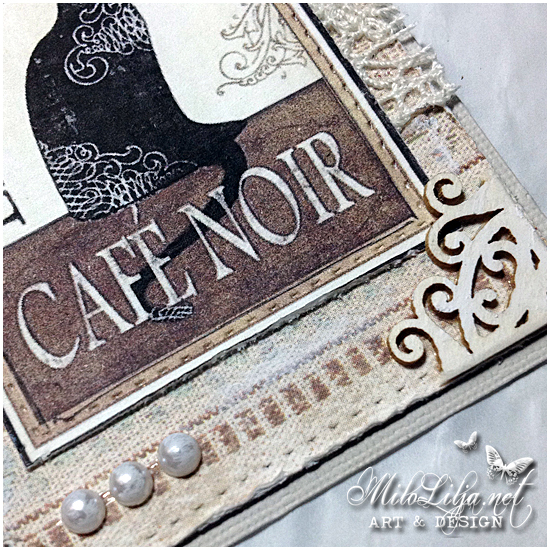 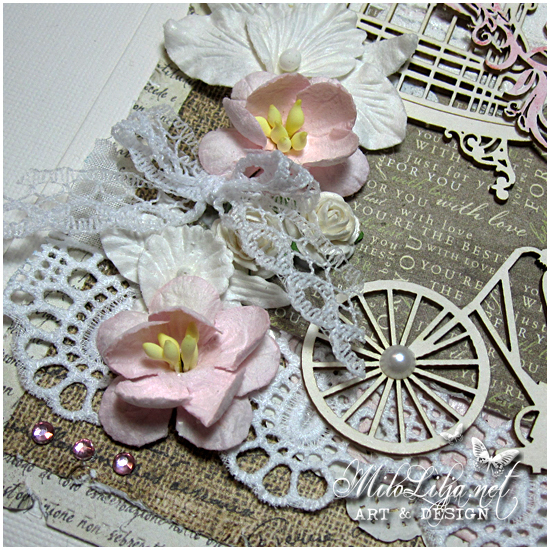 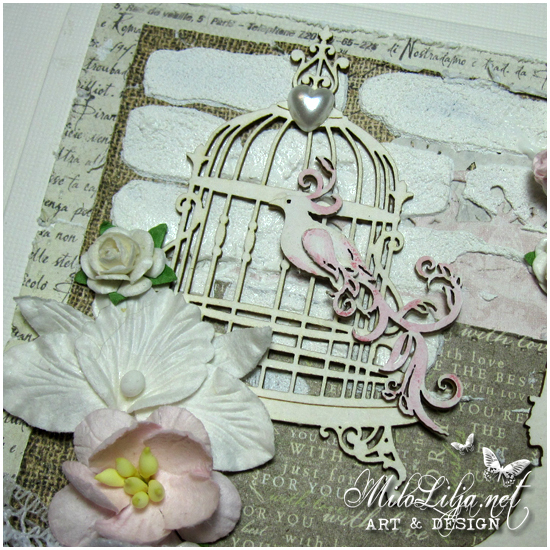 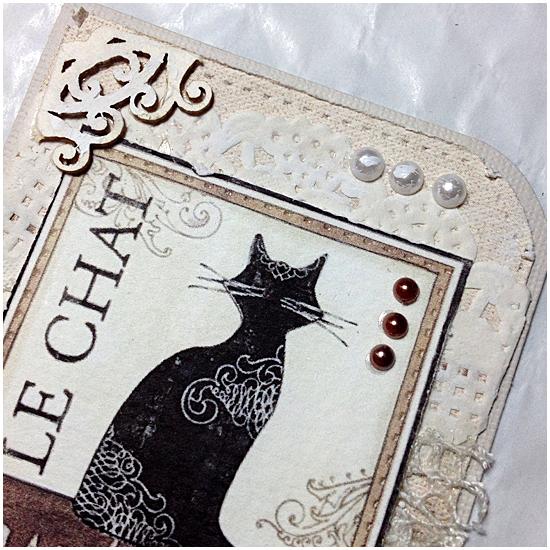 This is an inspiration card made for Sweet Pea Stamps. 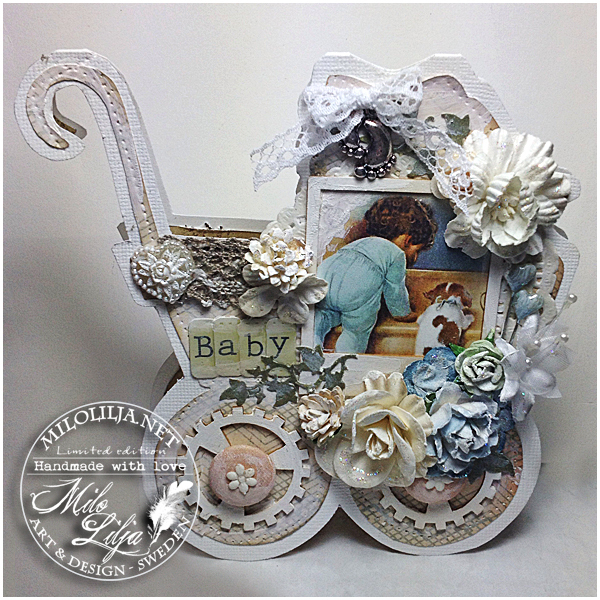 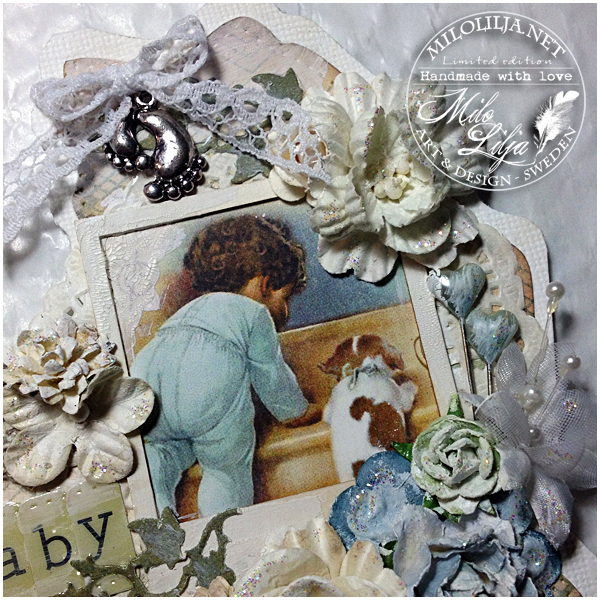 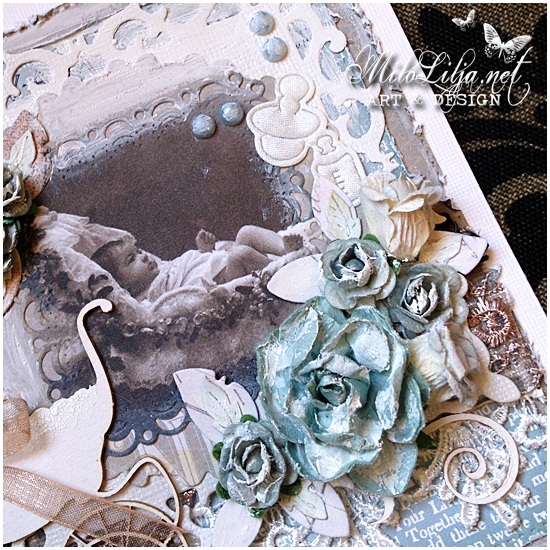 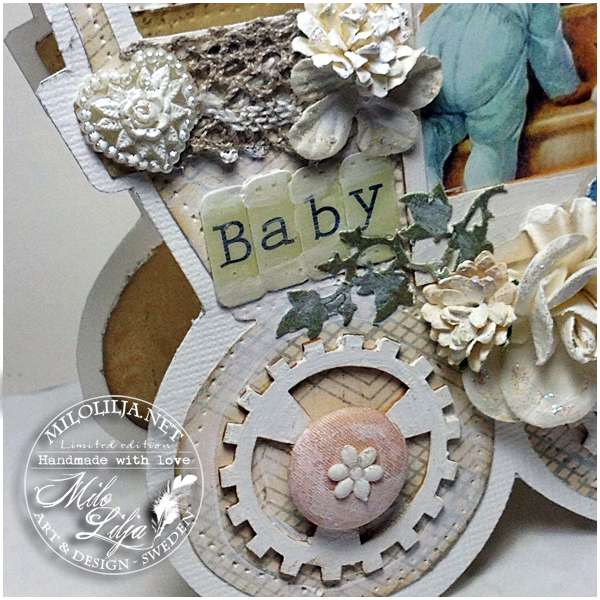 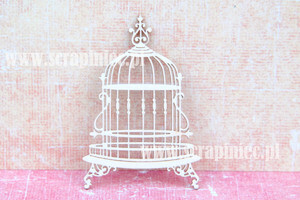 The lovely baby wagon is an chipboard from Scrapiniec. 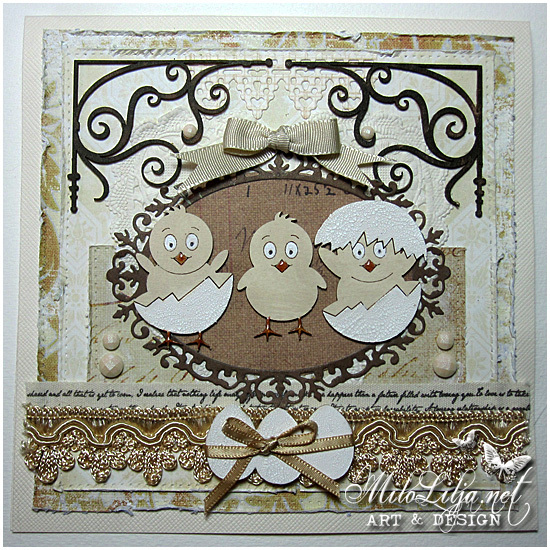 Posted at May 12th, 2014 in Cards, Wish me good luck! 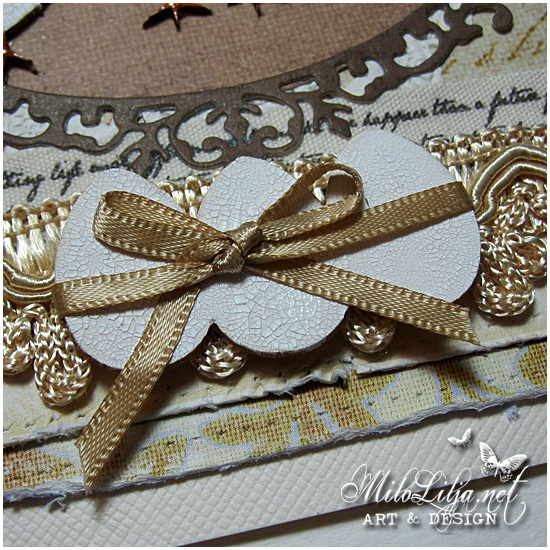 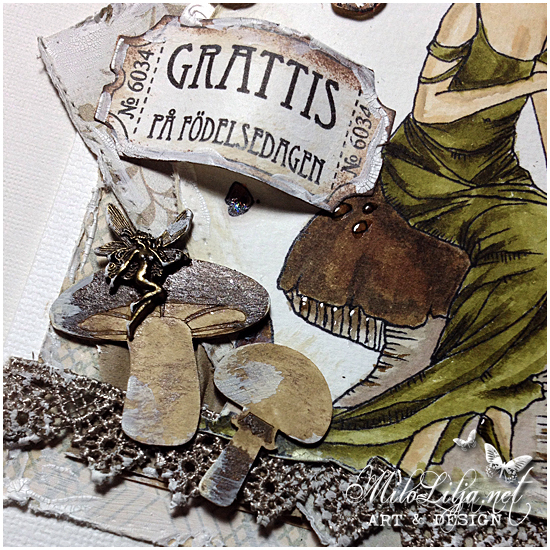 I made this card for the challenge #80 at “Vintage Utfodring”. 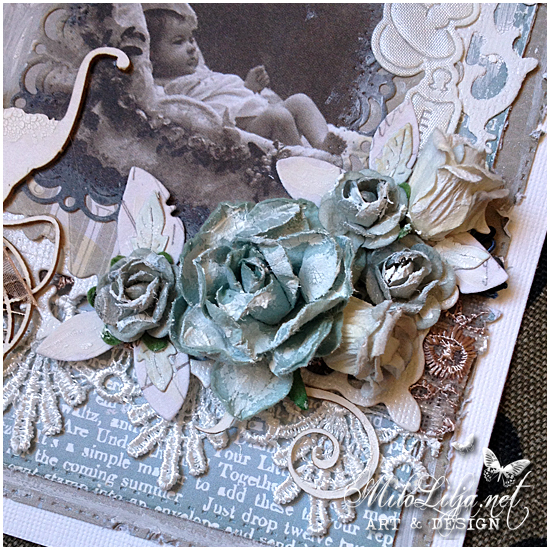 The challenge is a card to a man in vintage. 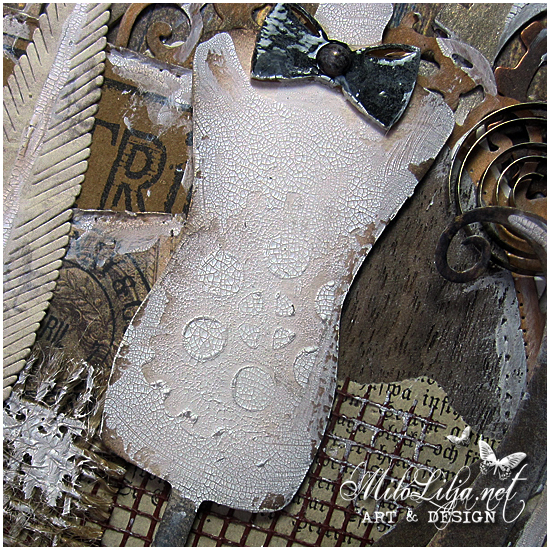 Chipboard (the mannequin body, brick wall, gears and mustache) comes from Scrapiniec. 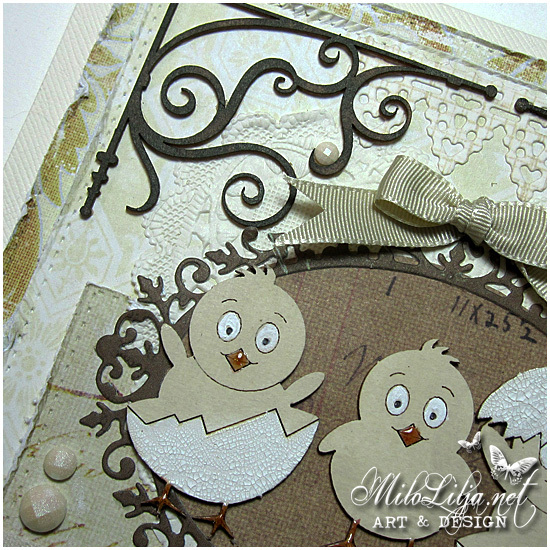 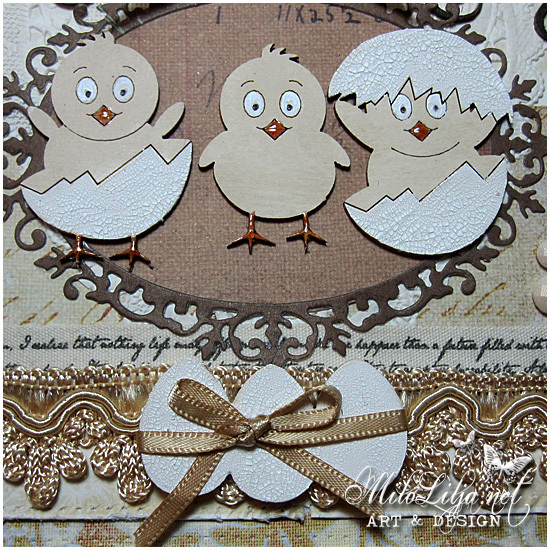 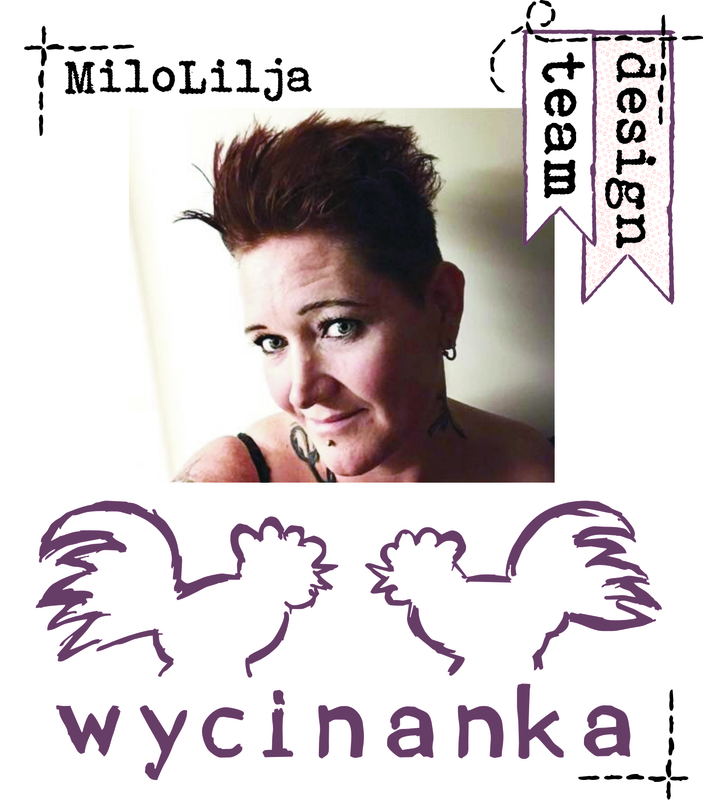 This is an inspiration card as DT for Scrapiniec. 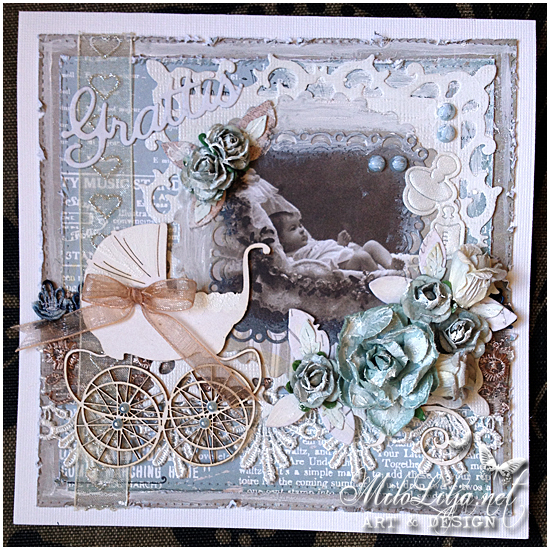 This awsome vintage lady comes from “A Day For Daises”. 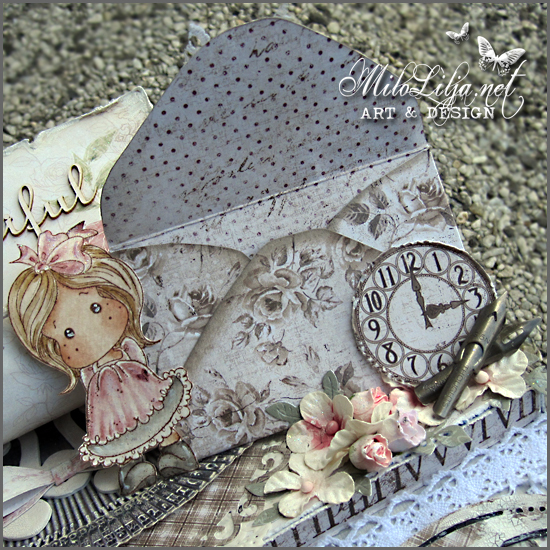 I´ve made this card as inspiration for Scrapiniec. 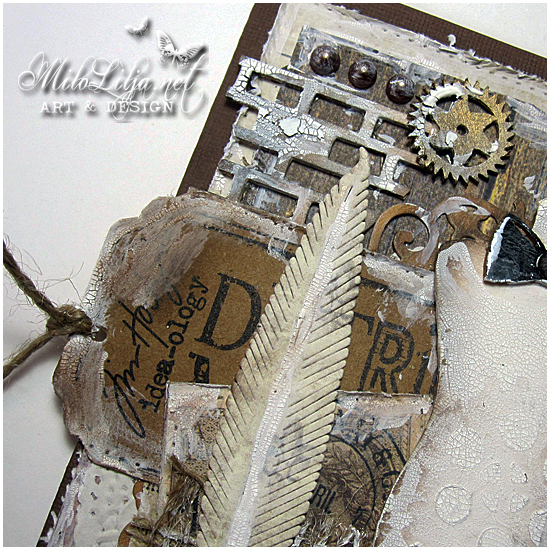 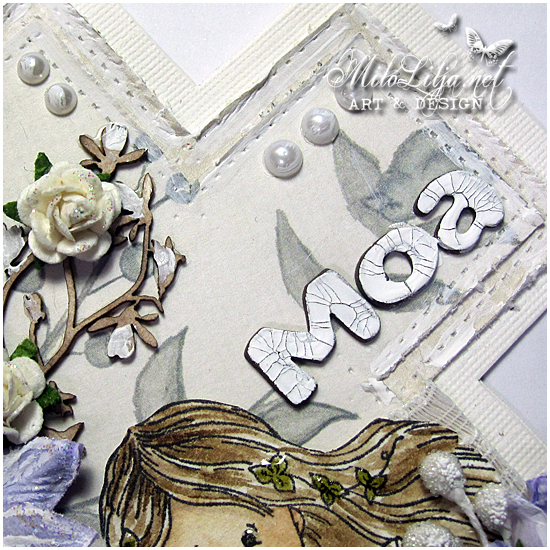 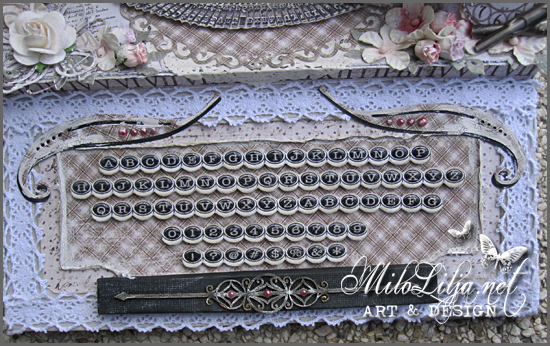 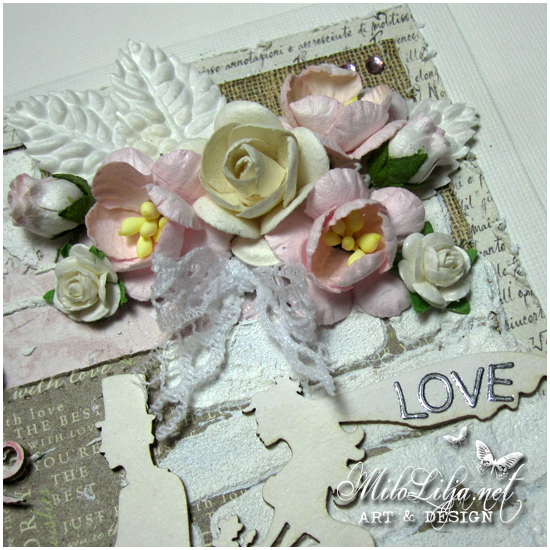 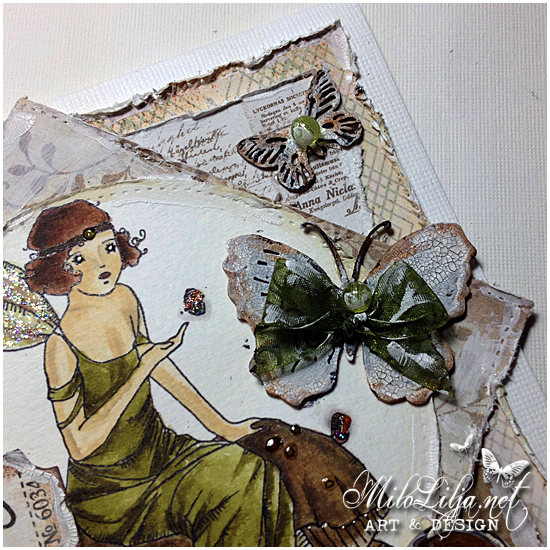 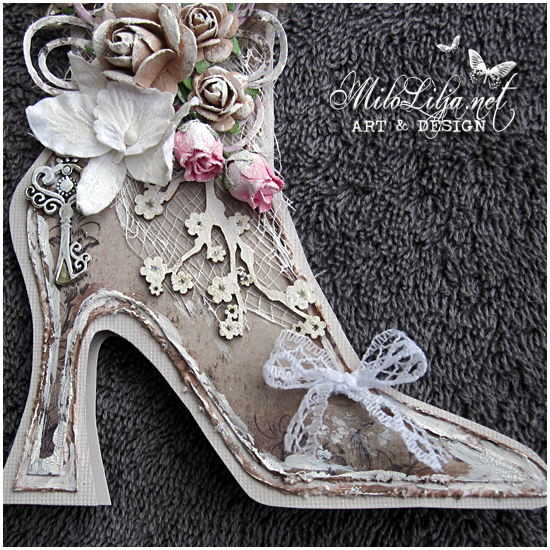 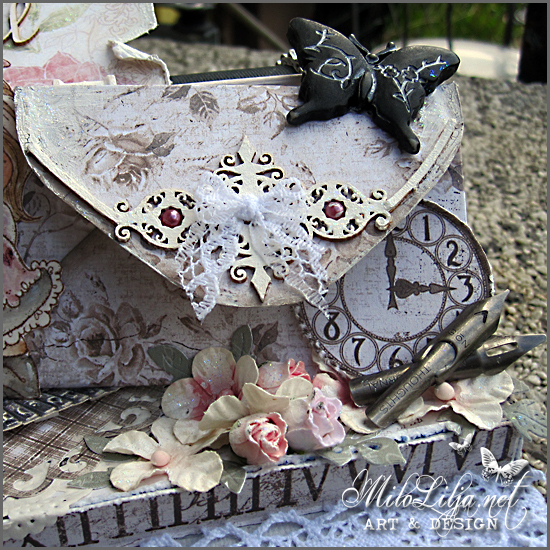 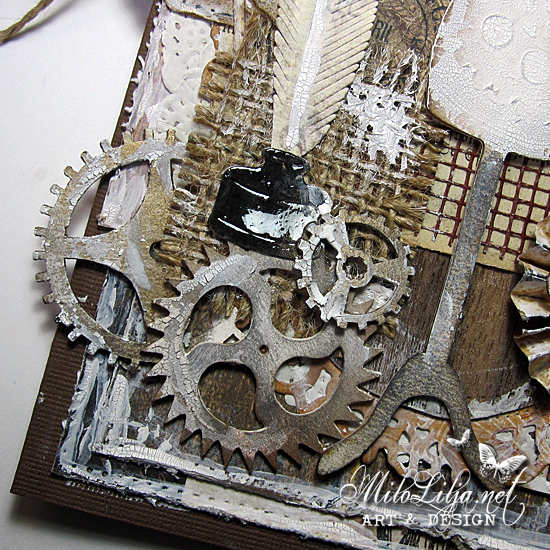 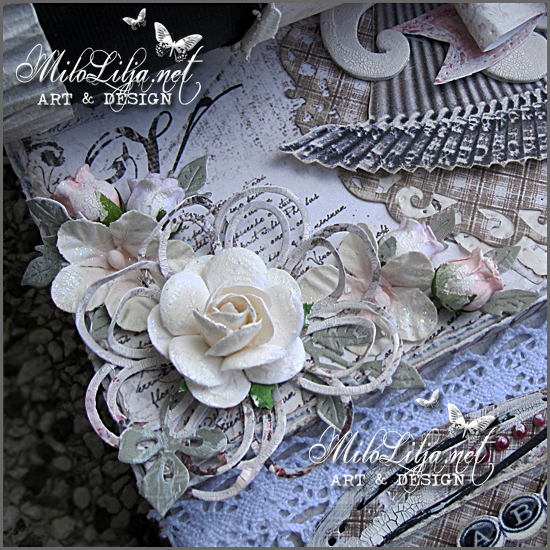 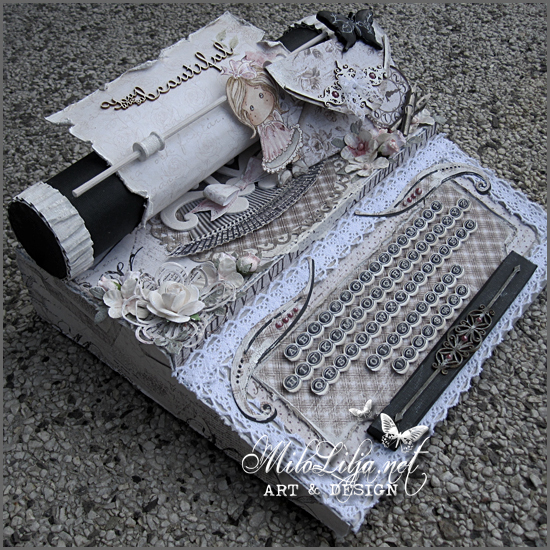 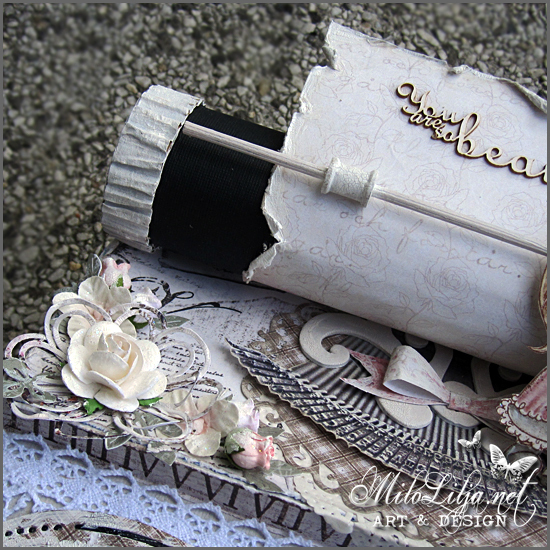 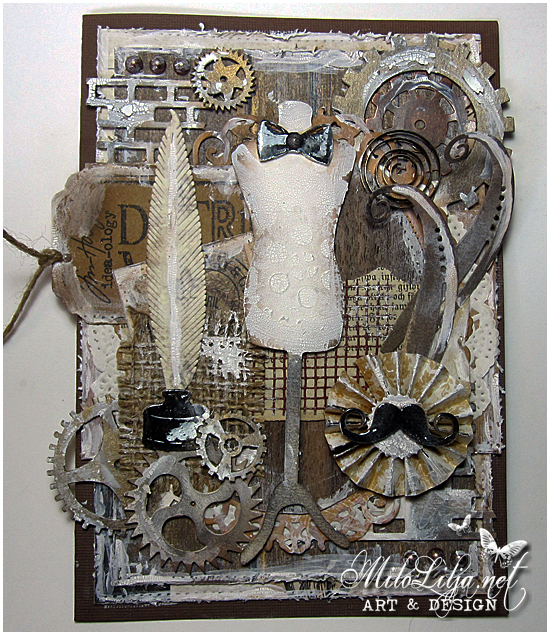 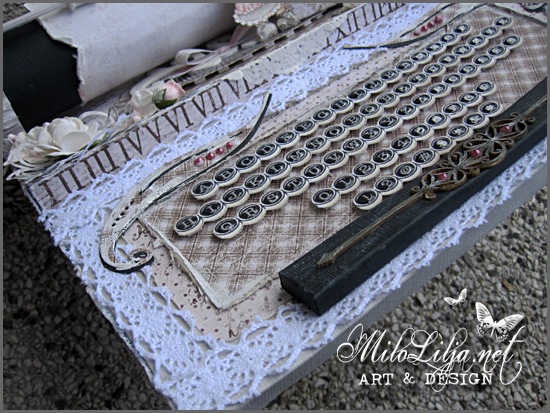 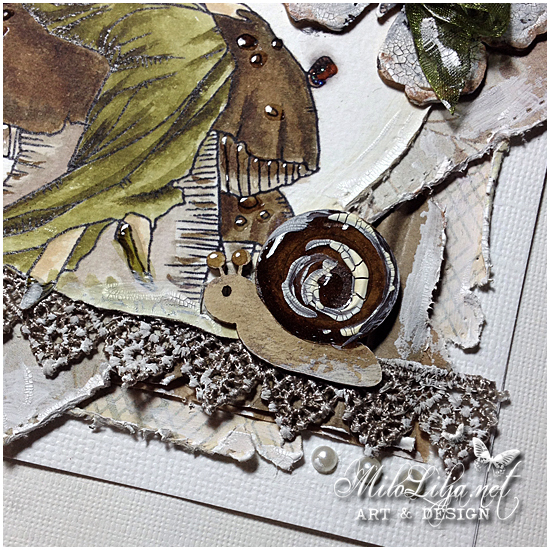 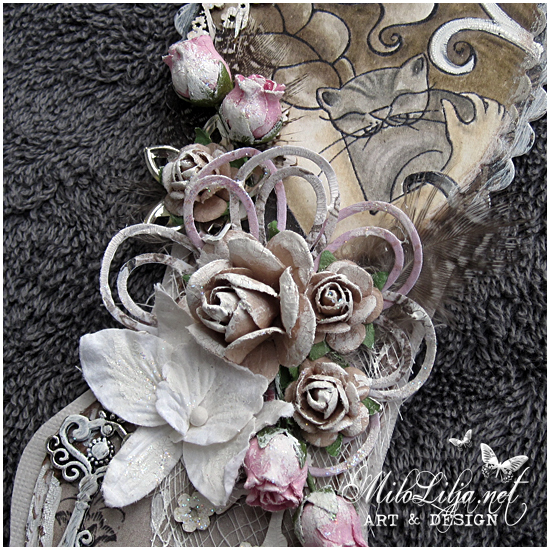 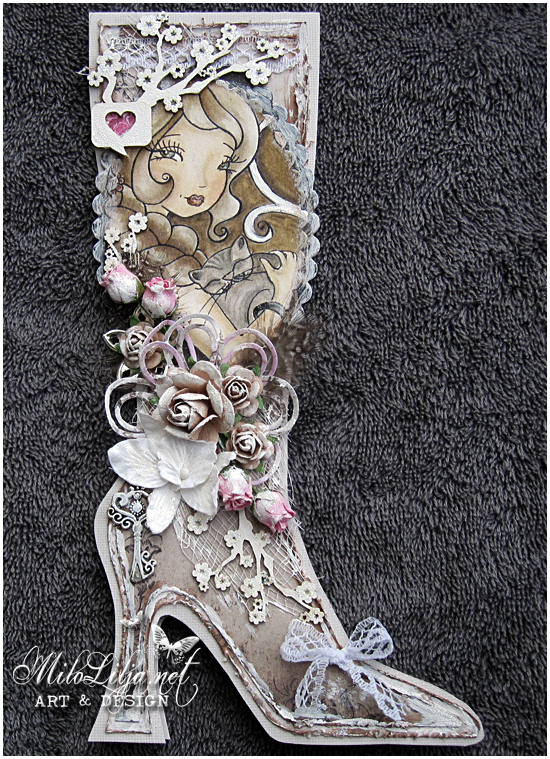 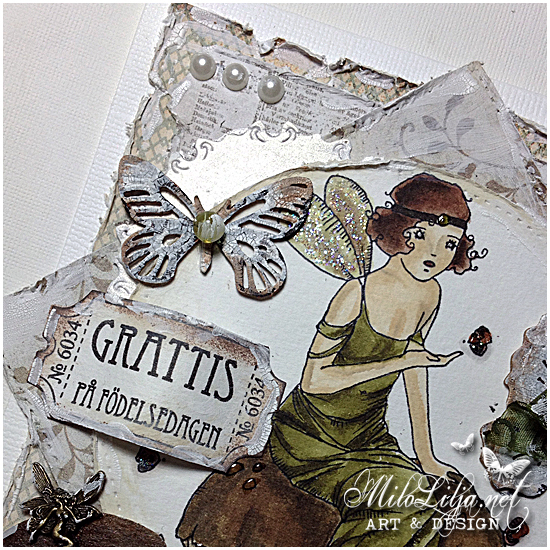 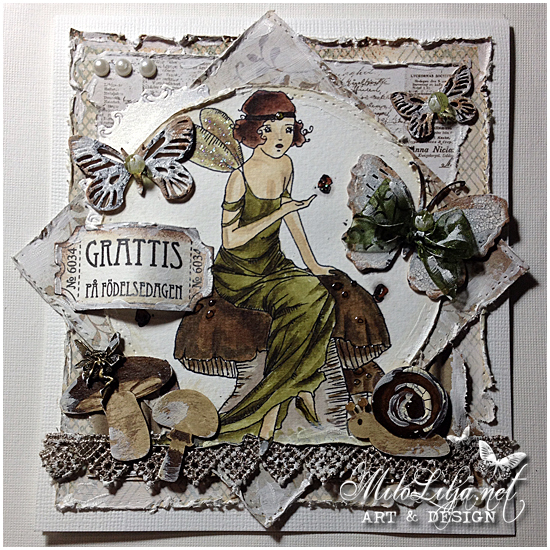 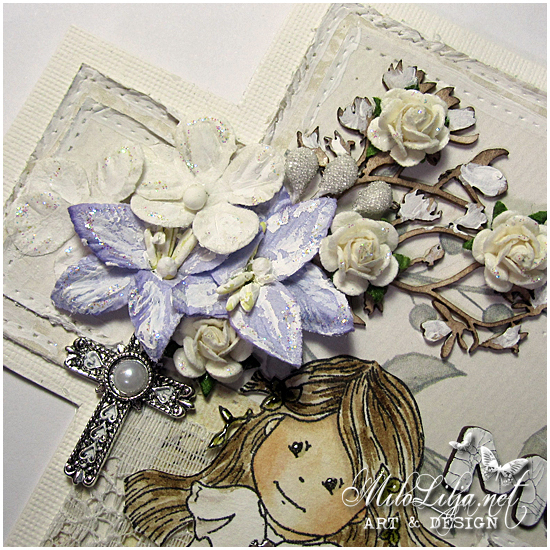 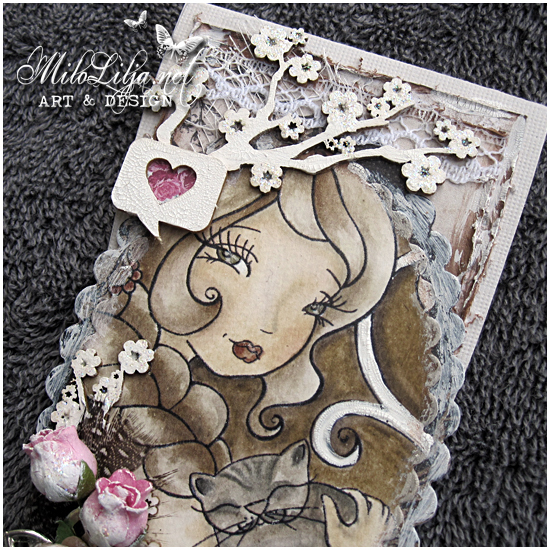 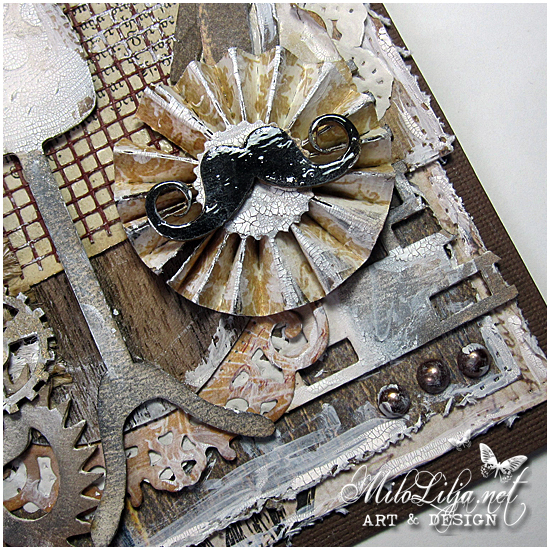 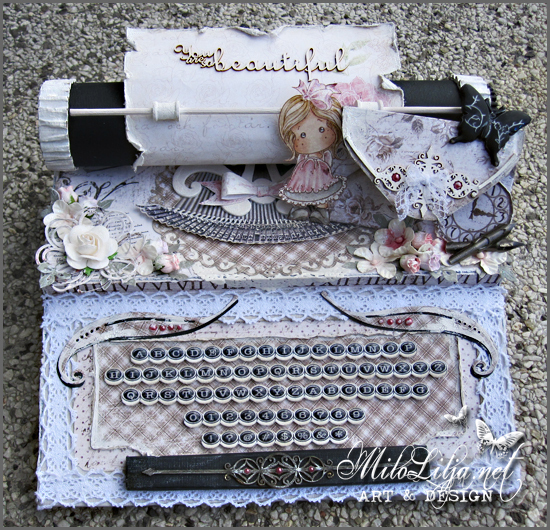 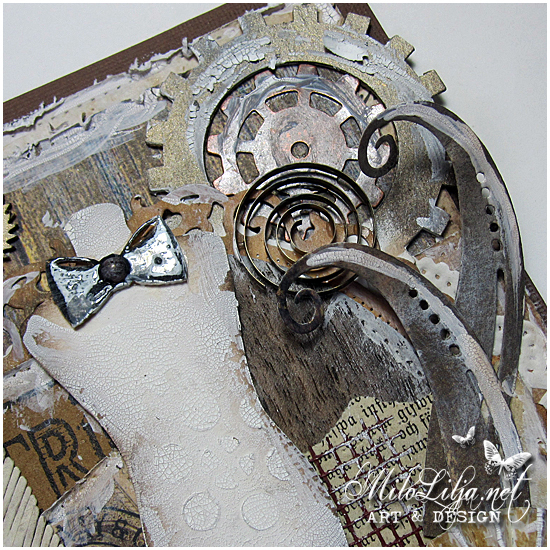 I´ve used Butterflies, Mushrooms and Snail chipboards. 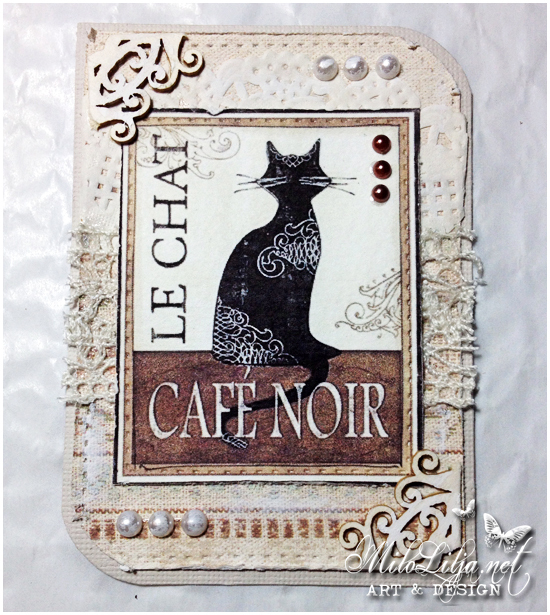 I have colored the chipboards with distress markers and crackle paint. 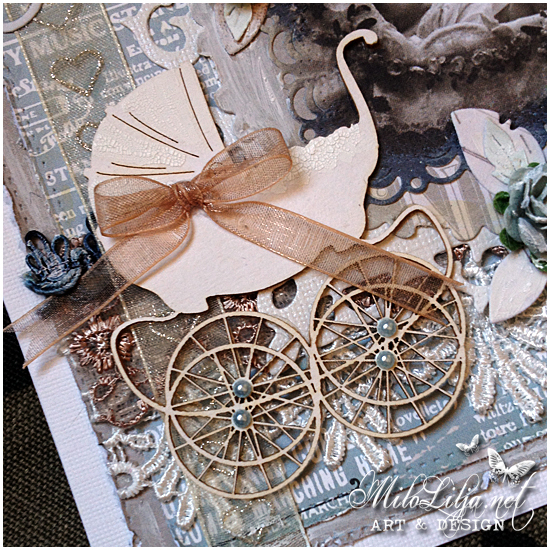 I´ve used the gears as weels and a frame around the baby.